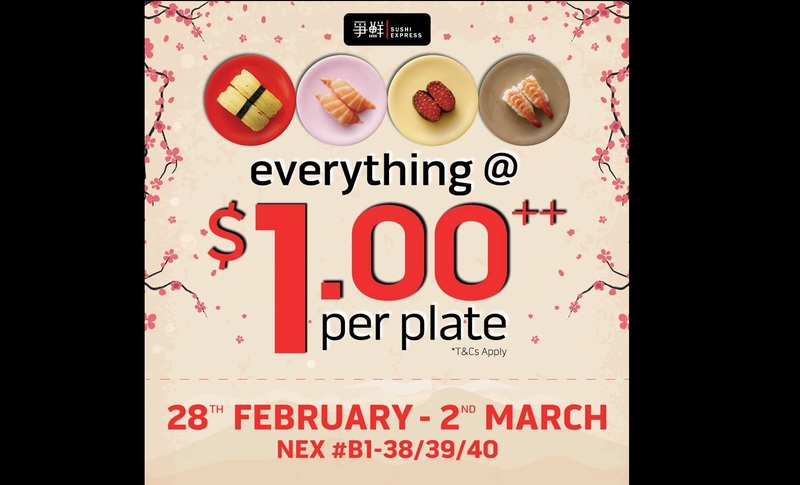 You are at:Home»Cuisines»EVERYTHING @ $1 PER PLATE AT SUSHI EXPRESS FROM 28 FEB TO 2 MARCH @ NEX OUTLET! After revamped, our NEX outlet is back! $1 promotion is available from 28th Feb to 2nd Mar! Previous ArticleDeposit $3 and get $50 back? WOW!! NEW FORM OF MARKETING??? Next Article KFC LOVER TAKE NOTE! 2 FOR 2 HONEY SESAME CHICKEN PROMO TILL 2 MAR 2018 !